The inception of the C.I.A. was in 1947 and this “psych” dispatch went out in 1967. It is from that point on that the term “conspiracy theory” and “conspiracy theorist” have been shoved down our throats. It was weaponized, just as so many other labels have been used to distract, manipulate and change the narrative to suit their agenda. Ever been called a “conspiracy theorist”? Ever wonder where that term came from? 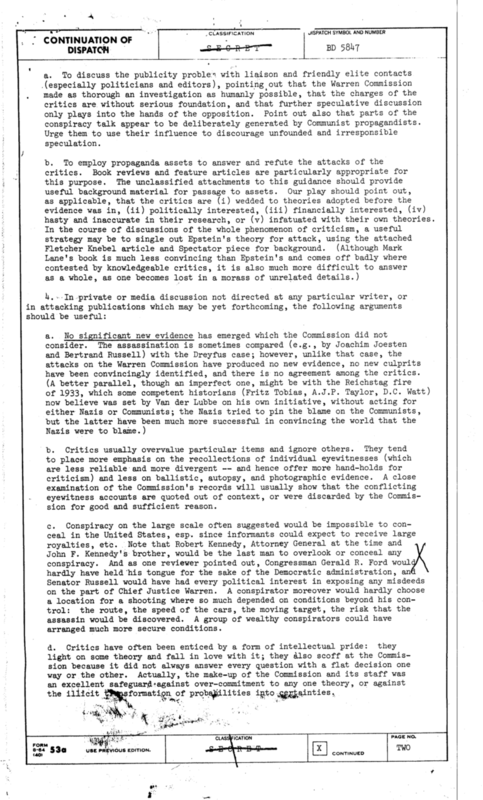 In 1976 the New York Times obtained a document they requested via the Freedom of Information Act. This document was a C.I.A. 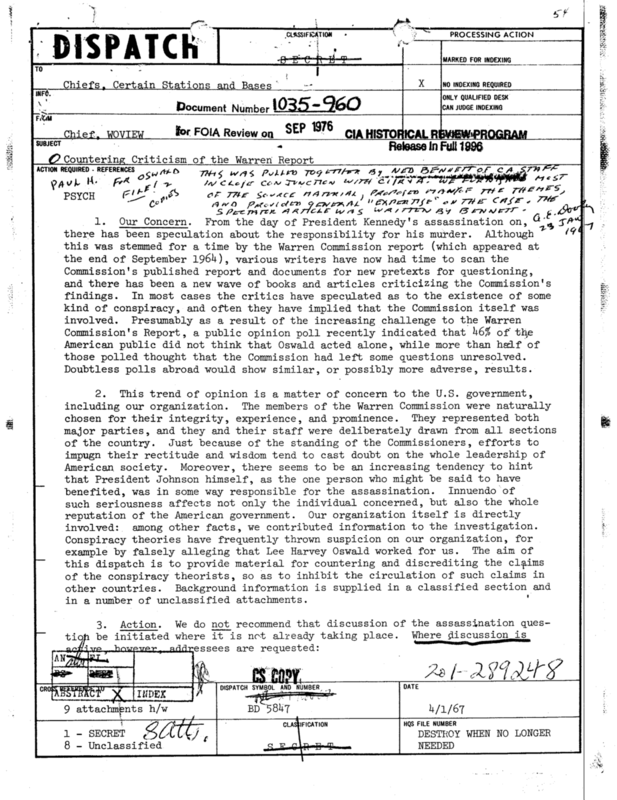 Dispatch labeled “psych” for “psychological operations” that was distributed in 1967, indicating they coined the phrase “conspiracy theory” and “conspiracy theorists” to attack anyone who challenged the official narrative from the Warren Commission. It also has a CS indicated on it, which stands for “clandestine services” unit. These labels have continued ever since they coined the phrase in the 1960’s, with the intention of stifling any truths from getting out. Pay close attention to those using the labels and the information they are referring to. This will be your first clue that truth lies within and they are trying to deflect it. The bottom line is there are hundreds if not thousands of conspiracies taking place all around us – legitimate ones. While they are busy misdirecting with their “conspiracy theorist” labels, evidence is being dug up, they are being exposed, and what they claim to be theory is TRUTH. There are some disputes out there as to whether the C.I.A. was the first to use the term because it has been printed in a handful of political books from the late 1800’s. The inception of the C.I.A. was in 1947 and this “psych” dispatch went out in 1967. It is from that point on that the term “conspiracy theory” and “conspiracy theorist” have been shoved down our throats. It was weaponized, just as so many other labels have been used to distract, manipulate and change the narrative to suit their agenda. Read the full C.I.A. Dispatch below.